You shouldn’t be surprised to know that Lanzarote has an important touristic interest, as it has paradisiacal sites and crystal clear waters, perfect for a relaxed bath on the Atlantic Ocean. If you’re coming to Lanzarote you’ll find numerous interesting sites and paradisiacal beaches, museums, beautiful traditional towns, viewpoints, natural parks and many other. Below you might find a list of the most important touristic sites, what to see in Lanzarote, that you shouldn’t miss on your trip to this island. Description: This is one of the must-visit sites if you’re in Lanzarote. Don’t miss it! Description: Offers a startling landscape originated during the last eruption on this island. Description: This paradisiacal island offers dreamlike virgin beaches with unequal quietness. Description: A beautiful welcoming town with many points of interest. Description: An insolit site occupied by recent lavas from the 1730/1736 eruption where volcanic cones stand out. Description: This is an open sea crater, highlighted by its insolit green coloured lake formed by an outcrop of seawater on the surface. Description: Excellent set of golden sandy beaches. Even though they don’t have many facilities, are some of the most beautiful beaches on this island. Description: The first museum in Spain dedicated exclusively to the cetaceans. Moreover, it’s one of the fewest museums with much information on oceanic species. Description: his is one of the most interesting volcanic caves and tubes system on the world. Description: His are the most important grottos that appeared after the eruption of the La Corona Volcano 3000 to 4500 years ago. This grotto is part of the same volcanic tube as in Los Jameos del Agua. Description: This is one of the municipalities with more history on this island. Here you might find the Zonzamas town, the oldest population in Lanzarote. In San Bartolomé you’ll also be able to visit many interesting museums. Description: Designed by the famous architect César Manrique. In its interior you might see many tools and objects related to agriculture and local culture. 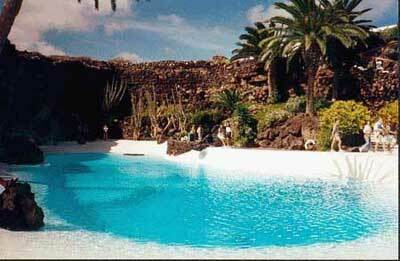 Description: Another important touristic centre in Lanzarote. Costa Teguise is visited by thousands of tourists throughout the year. It has a wide variety of accommodations near the amazing creeks of golden sand and crystal clear water. Description: This is one of the most fun parks in the Canary Islands. It has amazing attractions for every audience. Description: This is the widest aquarium in the Canary Islands. In its interior it encloses more than 1 million liters of water through 33 aquariums where you’ll find hundreds of marine species. 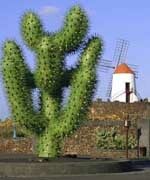 Description: This fabulous park idealized by the famous artist César Manrique, has more than 1.400 species of cactus and 9.600 different crops. This insolit botanic garden enclosed cactus from all over the world. Description: This one of the most notorious touristic centres on this island. It has six kilometers of beaches, surrounded by a lively promenade with clubs, pubs, shopping centres, good restaurants, bazaars, hotels and apartments. Description: Reminding the old wild west, the park offers many amazing attractions. 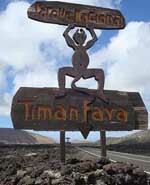 Description: This is an important touristic centre on the south of the island. It has famous places as the Papagayo beaches and the Los Ajaches Natural Park. Description: This is a fun park with multiple attractions for everyone. Description: This is a magnificent viewpoint from where you can spot the La Graciosa Island. Description: This is the house where the portuguese writer lived and worked for his last 18 years of life. Description: The capital of the island of Lanzarote. It holds interesting museums, castles and fortresses from the XVI and XVII centuries.